We are joined by Dr. Andrew Peregrine, BVMS, PhD, DVM, Diplomate EVPC, Diplomate ACVM (Veterinary Parasitology), Clinical Parasitologist at the Ontario Veterinary College, and Jonathon Kotwa, master's candidate in the department of pathobiology at the OVC. Dr. Peregrine and Mr. Kotwa discuss alveolar echinococcosis and human alveolar echinococcosis. As well, they discuss life cycle of echinococcis multilocularis, how it is transmitted, and who can host the disease. 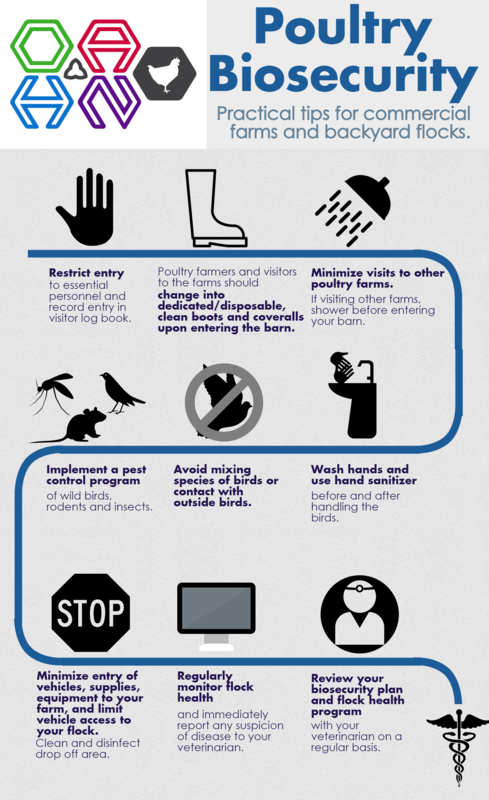 Avian influenza is sweeping the world this year, and there’s information you need to know to protect your flock. We are joined by Dr. Tom Baker, the Incident Commander at the Feather Board Command Centre, to discuss the new strain of avian influenza, review the recent cases in the U.S., and go over what commercial producers in Ontario need to know. Dr. Melanie Barham sits down with Dr. Maureen Anderson, the Lead Veterinarian, Animal Health & Welfare at Ontario Ministry of Agriculture, Food and Rural Affairs, to discuss the recent raccoon-variant rabies cases around Hamilton, Ontario, and the one fox-variant case found in Perth County. Dr. Anderson also discusses vaccination, the Rabies Response Program, and other resources for veterinarians and pet owners. OAHN Rabies podcast: What do all Ontario veterinarians need to know about rabies? This podcast is directed at all veterinarians (large and small animal discussions). Today we interview Dr. Maureen Anderson, DACVIM and lead for rabies at OMAFRA about the hot topic of rabies. We tell you what every vet should know about the new regulations and testing in Ontario, and offer a refresher on rabies as a disease. **Updated information: At time of publication of the original podcast, this information was not public. The OAVT has entered into a contract with the Ministry of Health and Long Term Care (MOHLTC) to assist in animal specimen collection and submission for testing on behalf of Public Health Units in the Province of Ontario. RVTs are invited to put their skills to work by becoming a member of the Rabies Response Program (RRP) team! Remuneration is provided. NOTE: The OAVT RRP is specifically for the use of the Public Health Units to facilitate testing in cases of potential human exposure to rabies. Veterinarians and the public cannot call the RRP directly. Cases of potential domestic animal exposure to rabies should continue to be reported to OMAFRA, and OMAFRA will work with local veterinary staff to manage these cases and facilitate testing when necessary. RVTs interested in more information on the OAVT RRP can call 1-844-872-2437 or email RRP@oavt.org.